Save on your next flight from KAJ to STL when you book through Travelocity. Need a last-minute flight to St. Louis? Travelocity offers discount airfare no matter when you book, even on popular routes such as Kajaani Airport to Lambert-St. Louis Intl. Airport. Whether you need a direct or indirect flight, you can trust Travelocity to provide you with the best prices for KAJ to STL flights. Explore St. Louis with Travelocity's Travel Guides to find the best flights, cars, vacation packages and more! Hilton St. Louis Airport is within 4 miles of Harrah's Casino, 11 miles from Washington University, and 13 miles from downtown St Louis and America's Center. 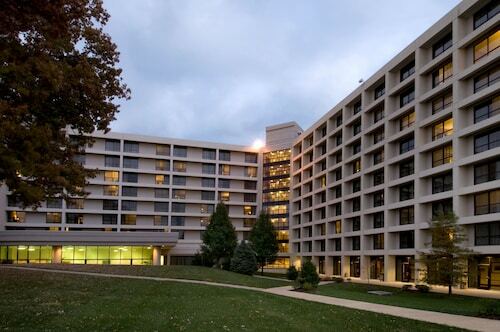 Located 3 miles from Verizon Wireless Amphitheater, Marriott St. Louis Airport is off I-70, which provides easy access to major arterials; across the freeway is the St. Louis airport and a mass-transit rail station. Located in Airport Township, this hotel is within 6 mi (10 km) of Blanche M. Touhill Performing Arts Center, Westport Plaza, and St. Louis Mercantile Library. Hollywood Casino Amphitheatre and St. Louis Car Museum are also within 9 mi (15 km). Lambert Main Terminal Station is 10 minutes by foot. Located in Airport Township, this hotel is within 6 mi (10 km) of Blanche M. Touhill Performing Arts Center, Westport Plaza, and St. Louis Mercantile Library. Hollywood Casino Amphitheatre and St. Louis Car Museum are also within 9 mi (15 km). Lambert Main Terminal Station is 8 minutes by foot and Lambert East Terminal Station is 29 minutes.